MOSCOW, July 19./TASS/. Russia calls on international organizations to urgently discuss a catastrophic situation with freedom of the media in Ukraine, the Russian Foreign Ministry said in a commentary on Thursday after Ukraine banned Chairman of the Russian Union of Journalists Vladimir Solovyev from entering the country for three years. "We urge Western mentors of the Kiev regime to take effective action to terminate such actions by their charges," the ministry said. 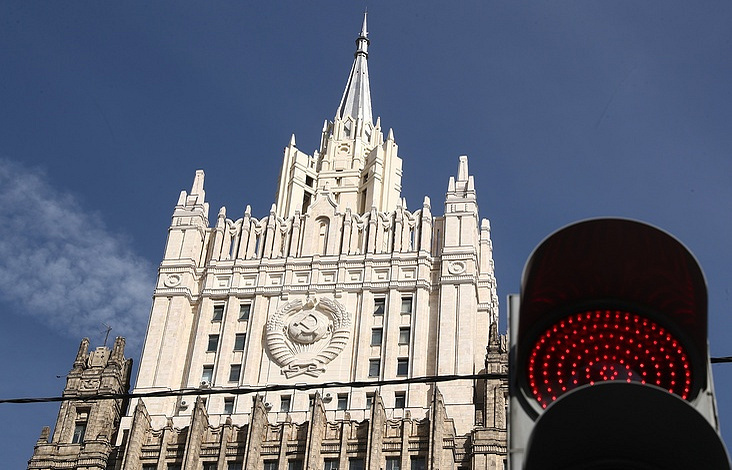 "An emergency discussion of a catastrophic situation with freedom of the media in Ukraine is necessary at relevant international platforms," the ministry said. Ukraine’s Security Service (SBU) has imposed a three-year entry ban on chairman of the Russian Union of Journalists Vladimir Solovyov. "In the interests of Ukraine’s national security, a resolution was passed on February 22, 2018 to bar Russian citizen Vladimir Solovyov from entering Ukraine for the term of three years," an SBU statement said. In February 2018, Ukraine’s confederation of journalist organizations issued a statement accusing Solovyov of "anti-Ukrainian activities" in Crimea that posed a threat to Ukraine’s national interests and its information and state security.